Now a major motion picture from Jerry Bruckheimer in theaters everywhere! “A thrilling action ride of a book” (The New York Times Book Review)—the New York Times bestselling, true-life account of a US Special Forces team deployed to dangerous, war-ridden Afghanistan in the weeks following 9/11. During a surrender of six hundred Taliban troops, the Horse Soldiers were ambushed by the would-be POWs. Dangerously overpowered, they fought for their lives in the city’s immense fortress, Qala-i-Janghi, or the House of War. At risk were the military gains of the entire campaign: if the soldiers perished or were captured, the entire effort to outmaneuver the Taliban was likely doomed. 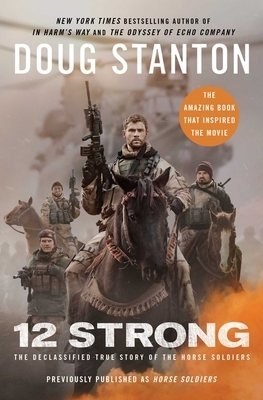 “A riveting story of the brave and resourceful American warriors who rode into Afghanistan after 9/11 and waged war against Al Qaeda” (Tom Brokaw), Doug Stanton’s account touches the mythic. The soldiers on horses combined ancient strategies of cavalry warfare with twenty-first-century aerial bombardment technology to perform a seemingly impossible feat. Moreover, their careful effort to win the hearts of local townspeople proved a valuable lesson for America’s ongoing efforts in Afghanistan. With “spellbinding...action packed prose...The book reads more like a novel than a military history...the Horse Soldier’s secret mission remains the US military’s finest moment in what has since arguably been a muddled war” (USA TODAY).